Highlighting the important role that chartered accountants play in business, Dr Professor Changole, HOD and Officiating Principle of Dhanwate National College said, “Numbers are created by humans and chartered accountants (CAs) are the best people to handle these numbers. 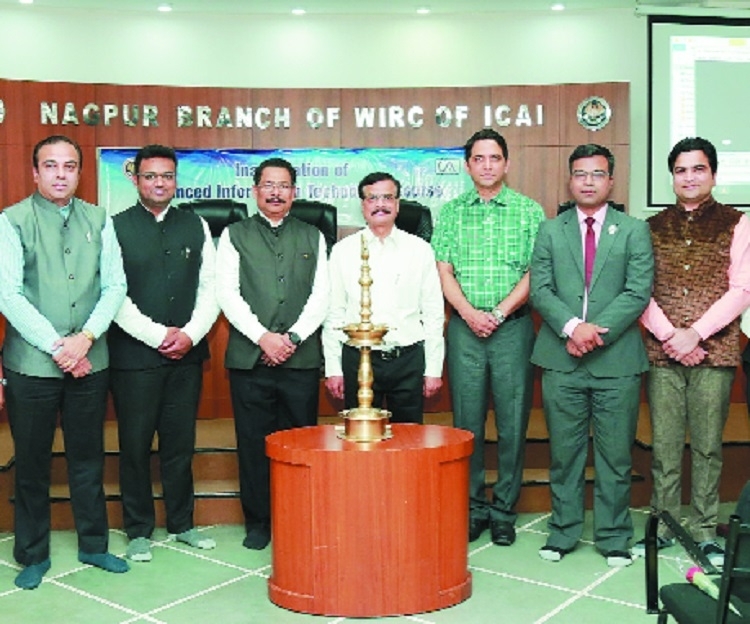 The figures of any business depict many views and to understand financial health of an organisation, CAs act like doctors.” He was speaking at inaugural session of ‘Advanced IT training’ and MCS batch for CA students at Nagpur Branch of WIRC of ICAI at Dhantoli. He said, “Accounting system is totally based on statistics and analysis. Statistics is the real game of numbers. They can prove everything in every field and chartered accountants are considered masters of numbers.” Dr Changole motivated the students to work on the path of honesty and integrity. CA course is one of the toughest courses in the world, which teaches practical aspects. Chartered accountants are the most committed. Apart from this CAs are practical oriented in their work. Similarly, theory is necessary for every course but practical orientation is must and the students of chartered accountancy course are well versed with the technology through practical training, he further added. He further said that the articleship training is the best practical knowledge based training. While elaborating about the advance IT training, Changole said that previously only MBAs used to have good presentation skills but now-a-days CAs are also well versed with all these skills due to training courses like Advance ITT, Management and Communication Skills and Orientation programmes conducted by ICAI for their students. He provided details about the necessary pre-membership trainings like articleship, orientation, advanced information technology training, management and communication skill course. He also gave information about the CPE which is mandatory after qualification. The faculties for the AITT CA Trupti Bhatatad, CA Mayank Saraf, CA Nikita Chawla, CA Kapil Maheshwari, Somnath Battacharjee and faculty for MCS CA Girish Deodhar were recognised and welcomed by the Nagpur Branch of WIRC of ICAI. Secretary CA Saket Bagdia proposed the vote of thanks. The programme was coordinated by executive member CA Harish Rangwani. Prominently present on the occasion were CA Kirit Kalyani, Vice Chairman of Nagpur Branch, CA Jiten Saglani, Treasurer, CA Sanjay Agrawal, WICASA Chairman, CA Akshay V Gulhane, Executive Committee Member and faculties of different training courses.